Scotland striker Kris Boyd has completed his transfer from Middlesbrough to Turkish club Eskisehirspor for an undisclosed fee. The 27-year-old has signed a three-year contract with the outfit who finished seventh in the Turkish Super Lig. He will team up there with Diomansy Kamara, the one-time Celtic loan signing who left Fulham for the Anatolia-based club this summer. 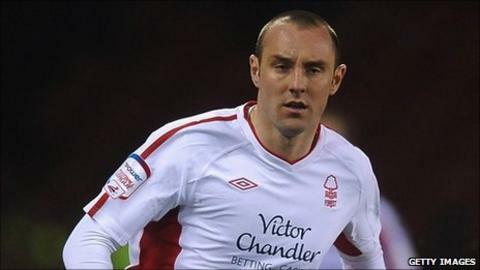 Boyd had failed to shine with Boro after joining from Rangers in 2010. And, after scoring only six goals, he was loaned to Championship rivals Nottingham Forest in March, helping Billy Davies' side qualify for the promotion play-offs. Boro manager Tony Mowbray has been under pressure to reduce his club's wage bill but stresses that players will not be allowed to leave on the cheap. "If it's right for Kris and our football club, we wish him well and move on," he told his club website ahead of the deal being completed. "If not, he comes back and tries hard to get in our team and hopefully he'll start scoring goals like we know he can. "Everyone knows we need to get our house in order financially so we can push on from a strong, solid base." Boyd began his career at Kilmarnock, where his prolific scoring record earned him a move to boyhood heroes Rangers. He went on to score 101 Scottish Premier League goals in 143 appearances for the Ibrox club before moving to Boro after the expiry of his contract at Ibrox. The 18-times capped striker has scored seven goals for Scotland, despite making himself unavailable for selection for the national side between October 2008 and November 2009. Now he joins former Rangers team-mate Kenny Miller, who switched to Bursaspor in January, in Turkish football having joined Eskisehirspor, a club founded in 1965 and who were promoted to the top flight in 2008. Meanwhile, Mowbray expressed his determination to hold on to young talent emerging form the club's academy. "I think it's good when people covet your players," he said. "The key factor is whether you sell them or not when those calls come. "Good management is about managing players' contracts within the funds you have available. "The positive for me is the talented young players we've got are well within our financial constraints and there's no pressure on us to sell any of them."